Our range of A to A+ rated floor standing units come in two model types providing flexibility of design and application to meet different room styling. The vertical chassis style unit provides a solution for the end user to build their own decorative casing around the unit with the flexibility to have either vertical or horizontal supply air from the unit. The floor mounted cabinet unit provides an excellent solution for comms room applications with its shallow depth (290mm) allowing it to be situated against the side of a room without taking up much needed floor space. 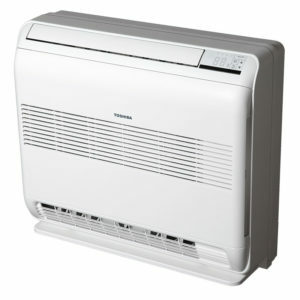 The unit provides top discharge with adjustable louvers to enable directional air flow to be achieved.